Detailed information and reviews of US licensed opticians, ophthalmologists, optometrists and eye clinics providing professional eye examinations, tests and treatment services. Post your requirements and receive no obligation price estimates and quotes. Price of Eye Exam - Price of Eye Exam. 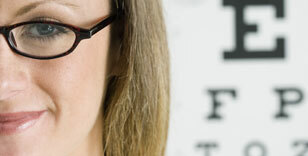 Basic Eye exam - Just need a basic eye exam to obtain prescription for new glasses. No Insurance. Will pay out of pocket. Eye irritation - Eye has a possible metal flake in it. It is sensitive to light and hurts very bad.